Commerce – the evergreen field used to have only a couple of options to pursue. With the change in times, one can find that there are numerous choices available for student to study further. For starters, students opt for B.Com or BBM or BBA soon after completing their class 12 in commerce stream. You can read our article career options in Commerce to know various career choices in commerce. This article mainly talks about the various courses available for students who has completed B.Com. You can choose between B.Com and B.Com (Hons) soon after completing your class 12th. B.Com (Hons) is not available in all the colleges, but only a few. Also, the level in B.Com (Hons) is higher than in B.Com with the subjects being more detailed, therefore choose wisely. So, soon after completing B.Com, here are some options for post graduate studies. 1. MBA – yes, the well known and most commonly pursued course is MBA. In most universities and institutions, admission for MBA is preceded by an entrance test, group discussion and interview. This course will bring across many managerial jobs. 2. CA – One of the other options is Chartered Accountancy, which is a very good course that is defines one’s career. As a chartered accountant, one can start off on their own or join any chartered accountancy firm to kick start their career. 3. CS – Company secretary, is yet another option available for students of B.Com. On completion of this course, one can find their way into any corporate company in the role of a company secretary. 4. Financial management – one can choose to pursue a course in financial management. This course gives students an edge in their careers as financial analysts, investment bankers or even corporate finance. 5. Cost accounting – there’s a fine line between Cost accountancy and Chartered Accounting, since the subjects covered in both the topics are the same. A cost accountant will help in estimating the costing for the financial year and prepare budget, whereas a chartered accountant will be entrusted with auditing. Is PG diploma in banking and finance fast job oriented course then mba? I’ve completed my b.com and am planning to do ACCA. I would also like to do a PG course side by side. Can u suggest any options other than m.com. I have completed my b.com final year . What can I do for in my next carrier??? What can I do fr NXT NW I m in last year of b.com …..Suggest me something ….PLZZ ….Hmmmm I think I m donig MBA but I m not decide which university or institute so PLZZ …… Give a good Suggestions…..
After completing BCOM marketing, can I go for MBA logistic management.. 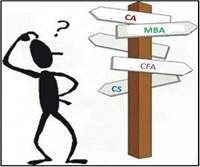 Please do help me..
Good article on the study options after B.Com, a good guidance for the BCom graduates pass out. For pgdm in finance you can consider ITM Institute. It offers two year full time course called pgdm in financial markets. The course gives insight into how the financial markets function. i am doing bms in sydenham college of commerce and economics so what should i do after graduation??? am completed my b.com. my ambition is to become a software engineerier.bt I selected a wrong course in degree. can u help me to select a suitable PG course to do software engineering? Sir i have completed my graduation in b.com.Plz tell me about the financial management course. Now i am in 2nd year bcom hons. Course please suggest me what course i best for me after completing my bcom hons. I am in second year bcom student…conerned to know about the career which doesn’t have acc..kindly reply back for it. I want to get a job in world Bank …and I m in 12 with commerce stream …how to get a good post in world Bank ??? What all I hve to study for that ?? I want to be a C.A in west bengal institution. Is this favourable to me or not? plz give me a suggest….. I am doing b. Com and wanna mba in future please some advise. Now I’m b.com final year please suggest me whether M.F.A will be useful for me? I’m actually waiting for my graduation results … but confused for further studies.. thank you so much for courses info…. I have completed my bcom in 2002. Now I am working as a Coordinator in one of the company. I need to Study now. Is there any course which help me in my future career. Kindly suggest me. i am also just reached b.com final year please suggest me in this regards…..! AN EXPERT IN LAW THOSE WHO WISH TO GET ANY GUIDANCE IN SUBJECT RELATING TO LAW WITH RESPECT WITH THE ABOVE COURSES IE. CA CS BCOM MBA MAY KINDLY REVERT TO ME AT ANY TIME FOR ASSISTANCE AND GUIDANCE. How much fees for the course of CS? Ya plz help in I wanna get good post in world Bank wat to do for that ? M in 12 th class ? I m in bcom final year,with that m persuing CS executive also ,and my interest in law …but right now m very puzzled …I hv 3 choices mcom,MBA ,llb ..so please help me for which course I choose. hiee…can u tell me abut this course..MFA? accounts & financial analysis both r very good . CA is best for accounts & CFA is best for core finance, financial analysis. But for d both u must have to be a very good student..unless u cant pass them. please send mi job vacancy at amravati.my education is b.com and marketing experience. I want a detailed information about exams after b.com.